Family Lives appreciates that time can be a factor in busy families but there are ways of being involved in your child's education without feeling overwhelmed. If you are a non-resident parent, it is equally as important to be involved in your child's learning too. This can give your child far greater goals and inspire them to try their best where they can. Try to give encouragement and show appreciation of your child’s achievements, whether great or small, as this can help boost their confidence. Teach them basic organisation and time management skills so they are not overwhelmed with projects or homework. Be realistic and avoid putting your child under pressure by having over-high expectations. Let your child develop at their own pace, but if you do have concerns, please speak to their teacher. Try to give feedback rather than criticism, e.g. saying ‘that didn’t seem to work’ rather than ‘you got it wrong’. This helps them think about where they went wrong and how they can improve in future, rather than just feeling like a failure. 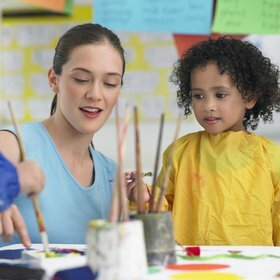 Often parents like to introduce a variety of interests in and out of school too so children have the opportunity to explore other interests that they enjoy. Learn together, do things together, visit interesting places, talk about things you’ve seen on television and encourage your child to ask questions. Support their reading development by having books, magazines and newspapers in the home and let your child see you and other family members reading them.